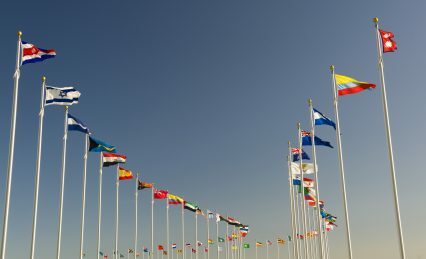 Governments must take comprehensive policy actions to boost sluggish global growth and tackle increasing inequality, finds the Organisation for Economic Co-operation and Development’s (OECD) latest Economic Outlook. The report looks at the “low-growth trap” the world has been suffering in the past few years, whereby low productivity leads to low consumption, which leads to low investment, and states that markets will not correct this problem without government intervention. “If markets did it, we wouldn’t need to have policymakers intervene, but it looks like markets won’t,” said OECD’s chief economist, Catherine Mann, upon launching the Outlook at the OECD Forum in Paris today. The report gives evidence of incomes rising very slowly and becoming increasingly unequal, which means that capital share is growing while labour is getting less for its work. The gap between the top and bottom 10% is widening, with median salaries stagnating and disposable income deteriorating for the bottom 10%. Weak trade growth, sluggish investment, subdued wages and slower activity in key emerging markets will all contribute to modest global GDP growth of 3% in 2016, essentially the same level as in 2015, according to the Outlook. Global recovery is expected to improve only in 2017 to 3.3%. Moderate recovery will continue in the United States, which is projected to grow by 1.8% in 2016 and 2.2% in 2017. The euro area will improve slowly, with growth of 1.6% in 2016 and 1.7% in 2017. In Japan, growth is projected at 0.7% in 2016 and 0.4% in 2017. The 34-country OECD area is projected to grow by 1.8% in 2016 and 2.1% in 2017, the report adds. In China, growth is expected to continue to drift lower to 6.5% in 2016 and 6.2% in 2017. India’s growth rates are forecast around 7.5% this year and next, but many emerging market economies will continue to lose momentum. The deep recessions in Russia and Brazil will persist, with Brazil expected to contract by 4.3% in 2016 and 1.7% in 2017. In OECD countries, 15% of young people are inactive and unemployed – more than before the financial crisis. But policymakers are also failing pensioners, whose incomes are deteriorating. “We can’t have this situation continue. Policymakers have to act, and we have the research that can help design the appropriate policy for each country,” added Mann. She warned against using monetary policy only to tackle growth issues, and pointed out that an increase of 0.5% in government investment across OECD countries would have positive results on GDP growth within a year. Looking at risks, the Economic Outlook analyses the potential impact of a UK exit from the European Union (EU), and concludes that in the event of a Brexit, UK GDP would drop by 5% by 2030, but growth would also go down in other EU countries and the rest of the world. Upon presenting the report, OECD secretary-general Angel Gurria pointed to its key messages: “First, in many countries, fiscal spending can be expanded or reallocated to more growth-enhancing items. Collective action is key: an increase in public investment in all OECD countries would boost GDP growth by 0.2% more than if done by individual countries. Finally, action requires a broad range of reform objectives,” he told GTR and the audience at the Forum. In general terms, the report recommends comprehensive, coherent and collective action, quality public investment, country-specific structural reforms, and the reduction of the burden on monetary policy.